Not totally sure what makes this salad “Indian” – aside from the fact that that’s what Whole Foods calls it – but it is delicious! 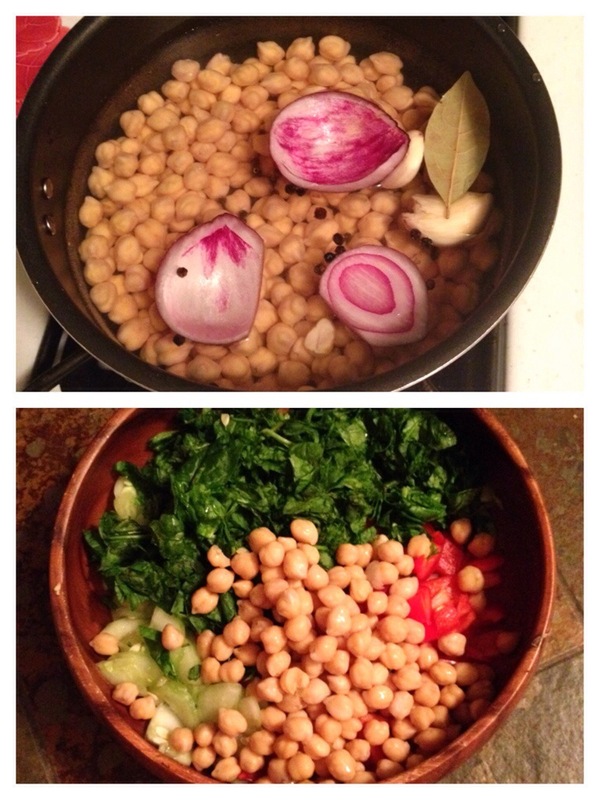 And a great use for the chickpeas that I randomly decided to soak and cook. 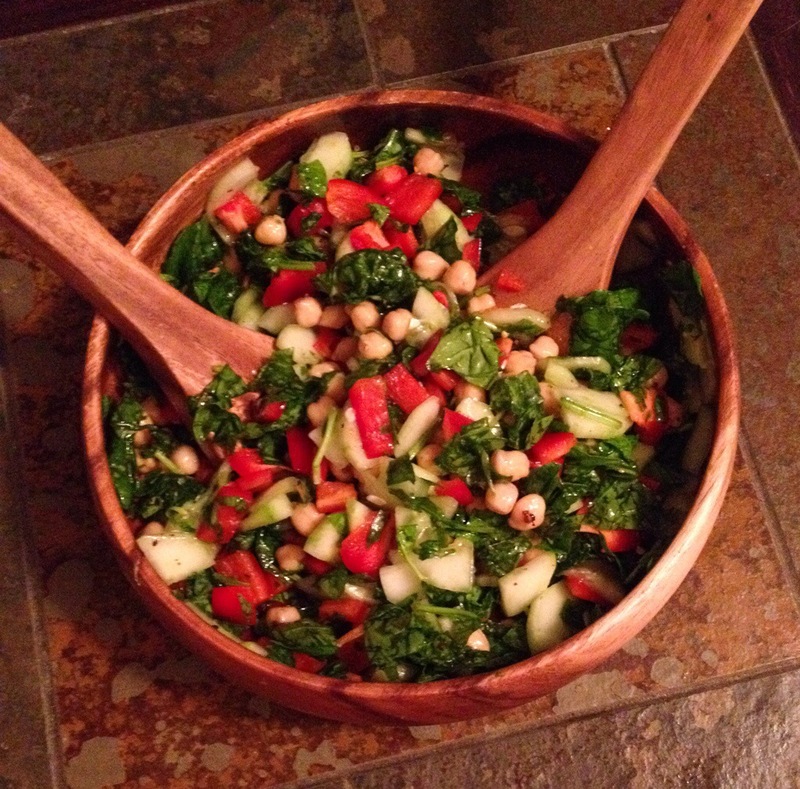 I soaked the chickpeas for about a day and a half. Then I simmered them in water with onion, bay leaf, crushed garlic, and pepper corns – this definitely gave them some flavor! Put everything in a bowl together and serve!! Did you blanch the spinach first? Hey! No, I just rinsed it, squeezed out some of the moisture, chopped it, and threw it in!